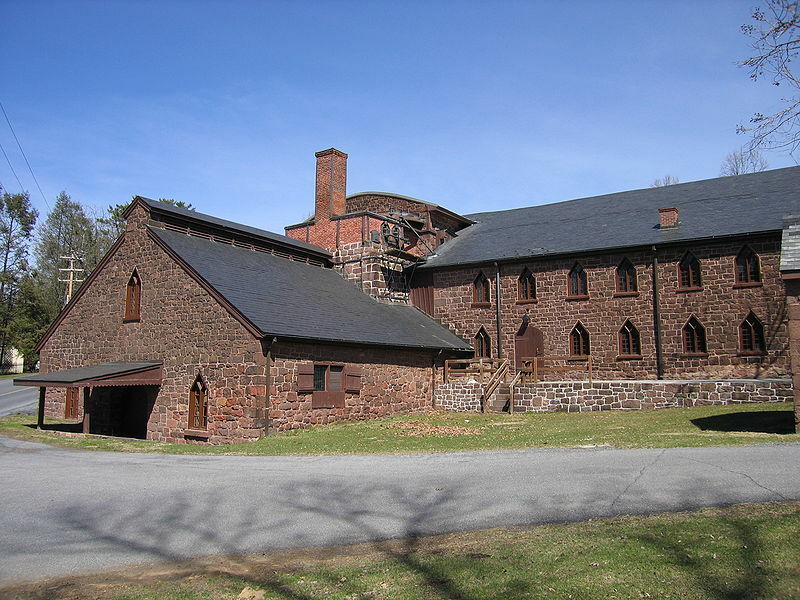 One of the favorite attractions for history buffs who visit Lancaster County is the Cornwall Iron Furnace. It is America’s most complete charcoal fueled ironmaking complex, making it a national treasure located just 14 miles west of the Smithton Inn Bed and Breakfast, along the same route you take to get to Hershey. It’s situated in a beautiful part of our countryside, surrounded by tall trees, water and stone buildings. What I like most about this museum is that they bring history to life for visitors, a history dating back to the Revolutionary War. The working water wheel and demonstrations of the forging process are a real treat! Cornwall Furnace is a unique survivor of the early American iron industry. Originally built by Peter Grubb in 1742, the furnace underwent extensive renovations in 1856-57 under its subsequent owners, the Coleman family, and closed in 1883. It is this mid-19th century ironmaking complex which survives today. At Cornwall, furnace, blast equipment, and related buildings still stand as they did over a century ago. Visitors can explore the rambling Gothic Revival buildings where cannons, stoves, and pig iron were cast, and where men labored day and night to satisfy the furnace’s appetite for charcoal, limestone, and iron ore. Check out the Furnace building, Wagon Master and Blacksmith Shop buildings, Abattoir, and Charcoal Barn now refitted as a visitor Center. In close proximity, but not part of the site are the Ironmaster’s Mansion, several worker’s villages, and the Cornwall Iron Ore Mine that’s now filled with water. Be sure to take a look at the Cornwall Furnace’s event’s page for information about interesting upcoming programs, like the July 17th cast iron cooking demonstration. And while you’re in the area, we definitely recommend eating at one of our favorite restaurants, The Blue Bird Inn. 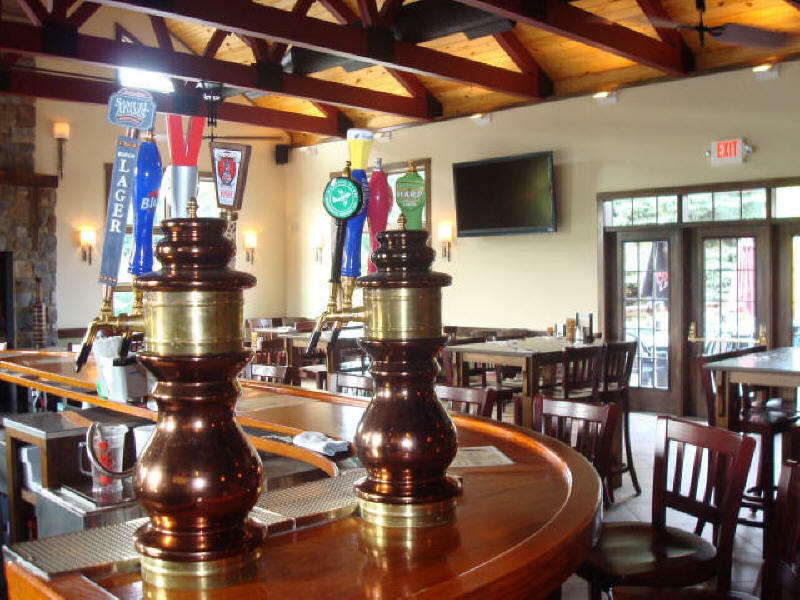 We love the atmosphere of the newly renovated and expanded old inn. Add to that the fact that they’ve got great beer, delicious food, attentive service and a hoppin’ outdoor deck, and you can see why we go there often. Beat the Heat in Lancaster County! — Lancaster Beer and Pretzel Tour August 7th – Book Your Trip Now!